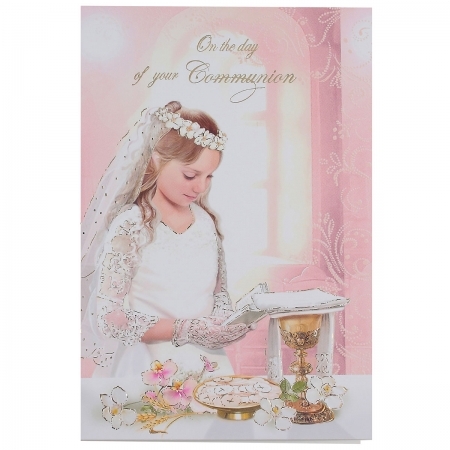 Very nicely design and printed high quality card for the First Holy Communion girl. Size 11.5cm (width) by 16.5cm (height). Supplied in protective transparent wrapper with envelope. Inside card reads: "Always remember... God's love is there. No matter what, no matter where, He's your companion and your guide, too. Always remember... God is with you. May God be with you as you celebrate your First Holy Communion, and may His presence stay with you always."